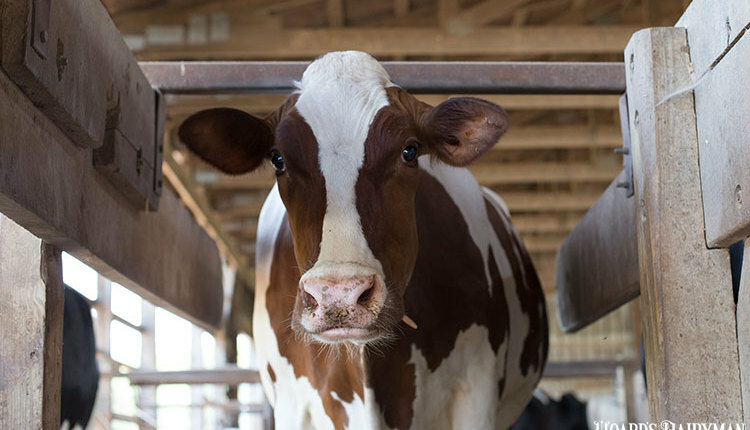 OVER $11 MILLION WENT TO DAIRY FARMERS for May-June milk production under the Margin Protection Program (MPP-Dairy). 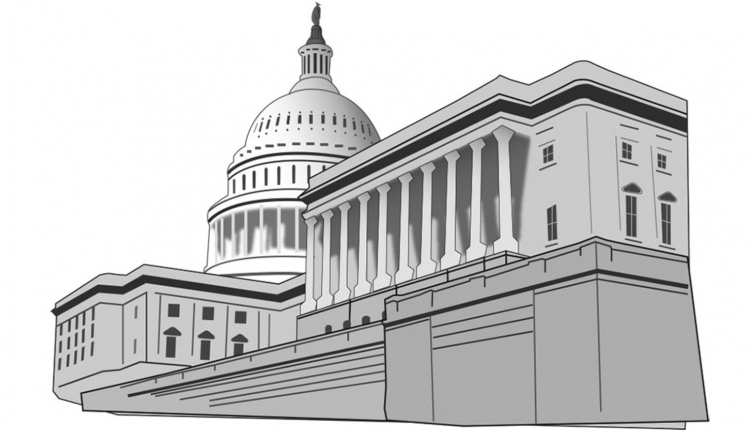 This represented the first substantial payments from the new farm bill program. FARMERS WITH "BUY-UP" MPP-Dairy coverage received this assistance. Those at $6 margin coverage received 24 cents per hundredweight; $6.50, 74 cents; $7, $1.24; $7.50, $1.74; and $8, $2.24. Only 4,852 of the nation's 43,000-plus farms received payments by purchasing additional coverage. LOWER CHEDDAR OUTPUT in July bolstered spot cheese prices. American cheese production, which includes Cheddar, fell 2.6 percent from one month earlier. Butter also fell 10.6 percent during the same time. At mid-August press time, spot cheese had climbed to $1.88 per pound. WITH GLOBAL SUPPLY/DEMAND slowly coming back into balance, Class III futures continue to inch up with September's high of $17.01 and February's low of $16.01 for a six-month average of $16.48. Meanwhile, New Zealand's Fonterra held its 2016-2017 forecast at $11.34. DAIRY DEMAND COULD GROW 0.8 to 1.7 percent globally through 2025, predicted the United Nations. Milk output could expand 1.8 percent. CATTLE PRICES CONTINUE TO SOFTEN. In late July, slaughter prices dropped to the $1.10 per-pound range, a five-year low. In the past 90 days, dairy replacements fell nearly $200 to $1,730 per head. AT $1,900, COLORADO DAIRY CATTLE fetched the top price, according to USDA's Agricultural Prices. And with its drought, New York dairy replacements dropped to $1,590 per head, the lowest in the nation. LAND PRICES FELL 1 PERCENT, the first drop since 2009, reported USDA. However, that wasn't the case in the largest dairy states. Values in California rose 2.6 percent; Wisconsin, up 1.1; and Idaho, up 1.2. PROFITS WERE HARD TO COME BY IN 2015,based on financial data from the nation's largest dairy accounting firm. Only Texas at $74 per cow (33 cent per cwt. 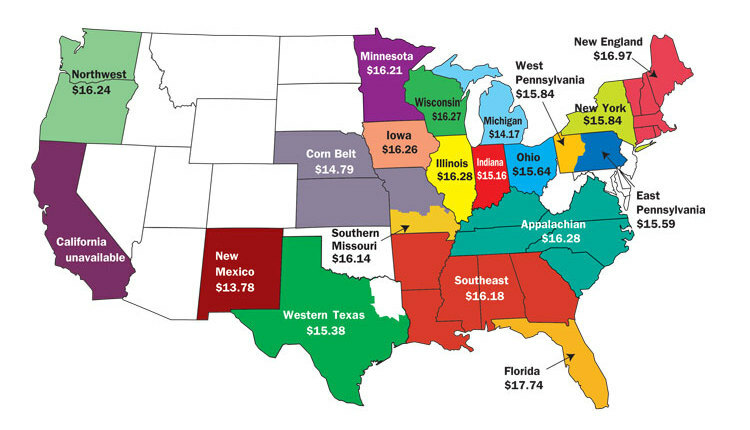 ), and the Lower Plain States at $103 per cow (43 cents per cwt. ), eked out a profit, reported Genske, Mulder & Company. CALIFORNIA SUFFERED the largest losses at $590 per head or $2.25 per cwt. Other losses included: New Mexico, $332 or $1.54; Idaho, $332 or $1.39; Arizona, $277 or $1.19; Washington, $214 or 89 cents; Colorado, $90 or 38 cents; and the Upper Plains States, $59 or 21 cents. FOUR U.S. 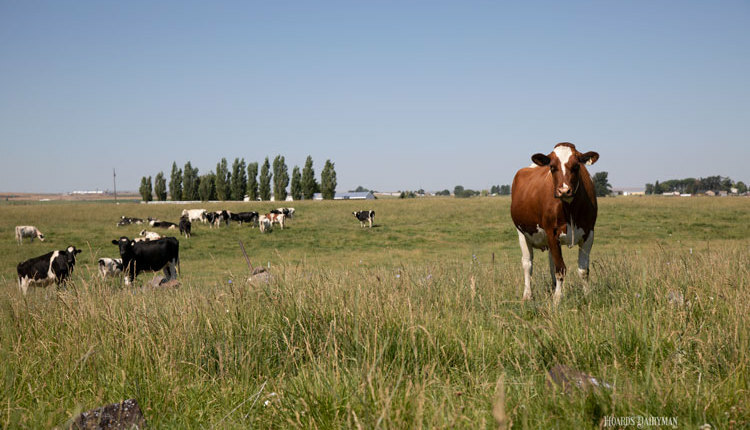 DAIRY GROUPS APPEARED among Rabobank's largest dairy companies headlined by Dairy Farmers of America at Number 4. Rounding out the group were: Dean Foods, No. 10; Kraft Heinz, No. 13; and Schreiber Foods, No. 18. Nestle topped the list at $25 billion in sales.